Back pain is one of the most common complaints heard in doctor’s offices these days, but unfortunately it is still a difficult ailment to diagnose and treat. Musculoskeletal clinical trials study things like back pain, chronic pain and post-surgical pain in an effort to better understand the causes and cures for these debilitating conditions. Musculoskeletal ailments can be difficult to diagnose since as a system it is so interrelated with other systems like the vascular system and skin. Musculoskeletal clinical trials often deal with mechanical issues of movement, sometimes stemming from joint problems. If you have suffered from an ailment that affects your bones, muscles or joints you may qualify to participate in one of our musculoskeletal clinical trials. 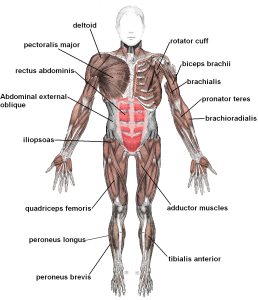 Musculoskeletal is an area of medical study that looks at the system of organs that work together to allow humans to move. Specific parts of this system include bones, muscles, ligaments, tendons, joints, and cartilage. The bones connect together in our body to form our skeleton to give the body form and shape. The skeleton also protects the inner organs. Muscles contract and allow us to move. Cartilage helps to protect bones in joints from rubbing together and getting damaged. Bones also store calcium and phosphorous. A doctor who studies and treats musculoskeletal issues is called a physiatrist. Diseases of this system are difficult to diagnose and treat due to their close proximity to other systems in the body. Common ailments that a physiatrist may encounter include back pain, chronic pain and post-surgical pain.